Swift at Mel House Cottages in Newton-on-Rawcliffe, near Pickering sleeps 5 people. 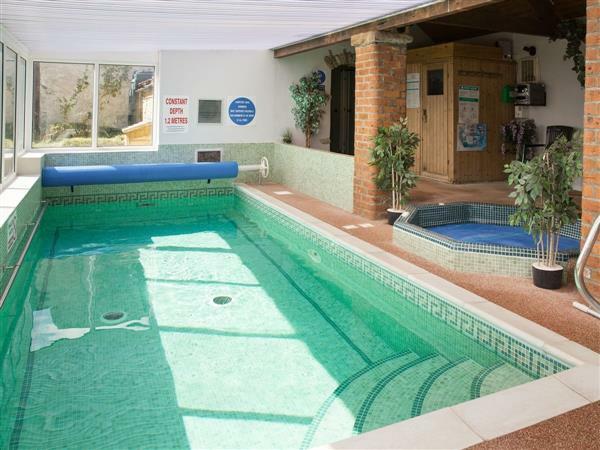 Mel House Cottages are four holiday properties offer comfortable and fully-equipped accommodation and benefit from a shared indoor heated swimming pool, spa and sauna, exclusive to guests. The owners live on site and are on hand to ensure a trouble free stay. Mel House Cottages (refs 31072 [Mallard], 31073 [Owl], 31074 and 31075 [Granary]) provide a great touring base set in extensive level grounds at the heart of the peaceful and attractive North York Moors National Park village of Newton-on-Rawcliffe, just 4½ miles away from Pickering. Conveniently, the village pub, duck pond and children’s play area are all nearby. Perfect for exploring North York Moors, the coast and the city of York whilst, for steam enthusiasts, the proximity to the NYM Steam Railway is a real bonus! The nearest beach is 22 miles from Mel House Cottages in Newton-on-Rawcliffe. With the shop 4½ miles, pub 43-165 yards (depending on property). Swift is all on ground floor: Living/dining room with vaulted ceiling and beams. Kitchen. 3 bedrooms: 1 double, 1 twin, 1 single. Wet room with toilet. Bathroom with shower attachment and toilet. Wood burner in living room included. Biomass central heating, electricity, bed linen and towels included. Travel cot and high chair on request. Freeview TV. DVD. CD. Electric cooker. Combi microwave/oven/grill. Shared laundry room with coin-operated washing machines and tumble dryer. Dishwasher. Fridge/freezer. Shared 2-acre grounds with sitting-out areas and furniture. Shared barbecue. Parking (2 cars). Shared Leisure suite (open 9am to 9pm in summer, 10am to 9pm in winter, every day), with indoor heated swimming pool (6m x 3m, depth 1.2m), hot tub and coin-operated sauna. Welcome pack. Pet free of charge - to be kept on a lead at all times. No smoking at Swift, Mel House Cottages in Newton-on-Rawcliffe. NB: 2 walled/fenced fish ponds and stream in grounds. Pets allowed at Mel House Cottages - Swift. For a better idea of where Mel House Cottages - Swift is, you can see Mel House Cottages - Swift on the map below. 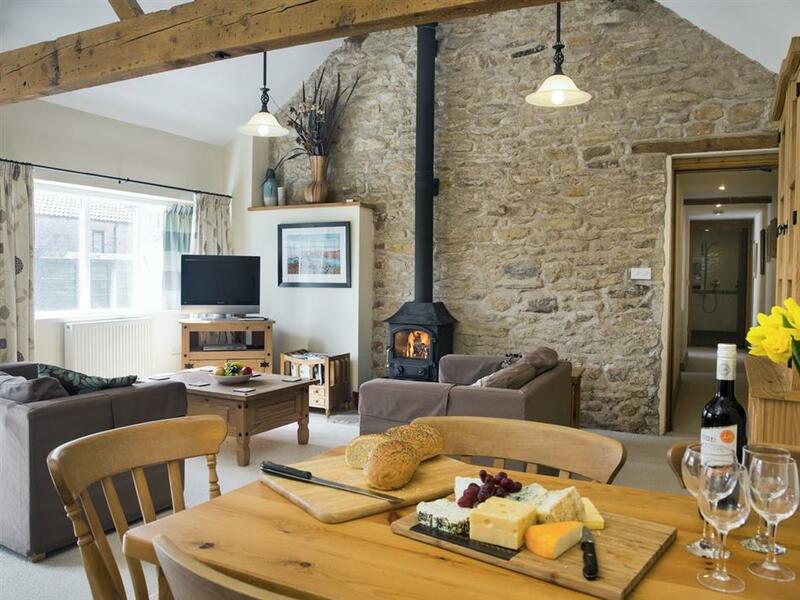 Mel House Cottages - Swift is in North Yorkshire; should you be on the lookout for a special offer, you can find all the special offers in North Yorkshire. It's always worth checking to see what is on offer at the moment. Do you want to holiday near Mel House Cottages - Swift (31074), you can see other cottages within 25 miles of Mel House Cottages - Swift; have a look to find your perfect holiday location.